The Westland N.1B was a prototype British single-engine floatplane fighter aircraft of the First World War. The first aircraft to be designed by Westland Aircraft, it was a single-engine tractor biplane. Despite good performance, only two aircraft were built, the Royal Naval Air Service operating landplane fighters from ships instead. In 1916, the British Admiralty drew up Requirement N.1B for a single-seat floatplane or flying boat fighter aircraft to operate from the Royal Navy's seaplane carriers, demanding a speed of 110 mph (177 km/h) and a ceiling of 20,000 ft (6,100 m). Three companies submitted designs in response, Blackburn and Supermarine with flying boats (the Blackburn N.1B and Supermarine Baby), while Westland proposed a floatplane, the Westland N.1B. Westland received an order for two aircraft. Westland's design, which was the first original design built by Westland, was a single-engine tractor biplane of wooden construction. It had a deep fuselage, while its two-bay wings were designed to fold to save space on ship, and were fitted with trailing-edge flaps. It was powered by a single Bentley A.R.1 rotary engine (later known as the BR1) and carried a single synchronised forward-firing Vickers machine gun on the nose, and a Lewis gun firing over the upper wing. 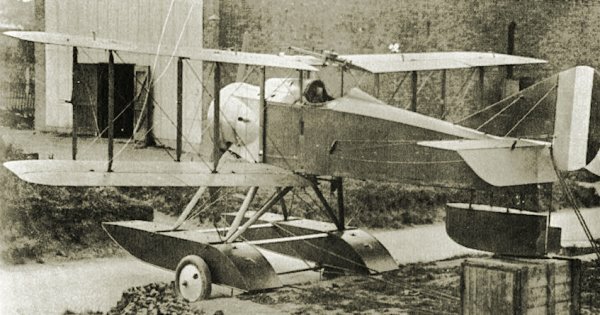 The first N.1B was fitted with 11 ft (3.35 m) long Sopwith main floats and a 5 ft (1.52 m) long tail float, while the second N.1B had much longer (17 ft 6 in (5.34 m) main floats, which removed the need for a tail float. Two prototypes built during 1916-17. 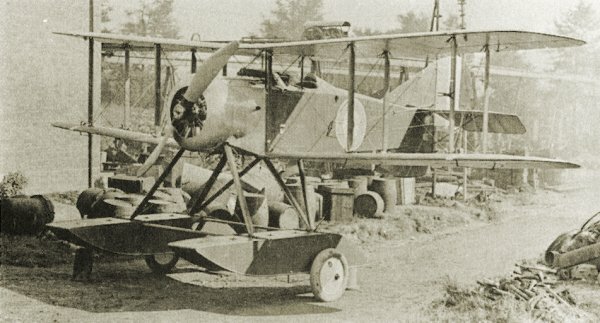 N16, the first N.1B, with a tail float and a humped cowl over the Vickers machine-gun. .... and a front three-quarter view of N16. N17, the second N.1B, had longer floats and a modified engine cowling. 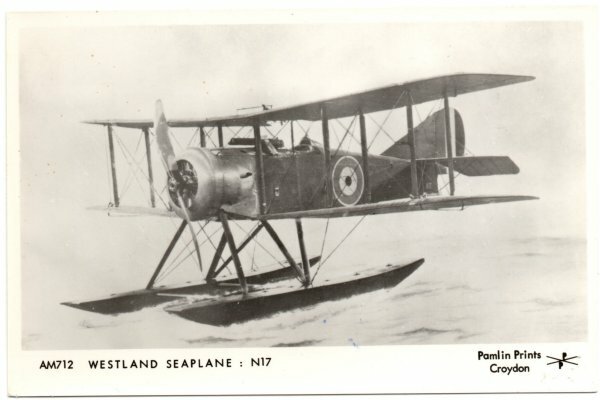 A postcard of the Westland N17 on water.